The most rewarding aspect of being a yoga teacher is that I get to experience and witness a side to people that most others do not get to see. In class, I get to see a room full of people let go of societal expectations and step into the present. Though difficult to explain, I see breath become voluntary, expressions relax and postures soften. It’s an amazing thing to witness and a privilege to hold the space for it to happen. It is an honor to be part of the growth of so many lives, and to be able to see the transformations unfold over time. If you have ever wanted to know what yoga is actually all about, here’s what it’s like from my perspective. It’s about being OK with the present moment. We often use the phrase, “Being in the present moment.” But knowing the words and singing the song are two different acts. 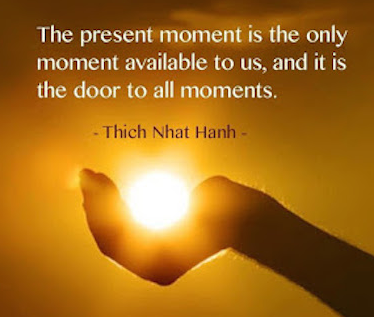 Being in the present means honoring your present moment no matter what is going on. We can’t just be present in moments that are good, comfortable, or pleasurable. Many of us are not even present when times are good. Learning to be present when things are rough is a powerful aspect of a yoga practice. Transformation and growth do not happen from a place of comfort and ease. Being present in times of adversity offers us a closer glimpse of the nature of things, including the truth about our interaction with the world. Being present in tough times helps to illuminate the lessons to be learned from strife. Being present moves us into a place where we can see that nothing truly happens to us, but that Life just moves on and we keep moving on as well. On the mat, we simulate the difficult times when our practices are hard. We remain aware of the body, mind and thoughts when we hold a pose longer than we want to even when we feel like running away from it. Every time we step on the mat, we have the opportunity to move into the present and stop the inner turmoil. This is the difference between hearing the words “Be in the present moment” and actually experiencing it. The idea is simple, but the practice is a lifetime commitment. I often hear, “I’d like to do yoga, but I’m not flexible”. Most of the teachers I know place almost no emphasis on being flexible. Most of the students I encounter that are “bendy”, often face a challenge of bringing strength and stability in to balance out their bendable nature. I like to guide people back to the wisdom of their own bodies, and help them find where they can bring more freedom into their movement, where they can bring strength where there is weakness and where they can bring softness where there is rigidity. There is no one-size-fits-all approach to this method. It is as unique as each student and each student’s intention for practicing yoga. I always get caught off guard by comments about yoga being spiritual or not spiritual or if I’m type-cast as a spiritual type teacher. In the spirit of full disclosure, I never use the word spirit or spiritual when teaching. I find that most people have their own definition off what is spiritual and what is not and I consider the word to be a vague sweepingly obvious generalization. The idea often comes paired with the undertones of religion, divinity or sacredness. The truth is, there is so much work to do in the physical and emotional realm of being, working with tangible elements and self-evident principles, I don’t find it necessary to bring aspects of spirituality into the practice. While I do not place any importance of one religion over the other, I do place a high regard on any system that helps one to become a better human being. The practice of worship is a private and intimate affair, unique to each individual. While it does not fit into my intention for teaching, I do find that by deepening one’s own understanding of self, one generally finds a deeper connection with their religion or worship. There is an entire world of marvel at your disposal. If it is spiritual awareness you want, you need not look farther than your own existence. You are a marvelous being, a conscious entity supported by a constantly changing, living, breathing organism, comprised of billions of individual life forms that make up your construct. You move through this world, which is a reflection of yourself, one breath at a time. If you can’t see divinity in anything, try shifting your perspective. It’s more than just exercise. The Western view of yoga is synonymous with a fit, toned, attractive female in over-priced athletic clothing, often doing Warrior II or Dancer’s Pose. Unfortunately, that’s marketing. But long before lycra and spandex existed, the system of yoga was developed to lead people into their full potential of being human. The ancient sage Patanjali details eight different limbs of yoga in the Yoga Sutras. They consist of yamas, niyamas, which are codes of conduct. Many of these may appear to be common sense, and are also synonymous with what we all learned in elementary school. Asana, or the practice of various postures free the body and mind of tension and restlessness so you can meditate/contemplate/pray/chant/dance/sing/etc. 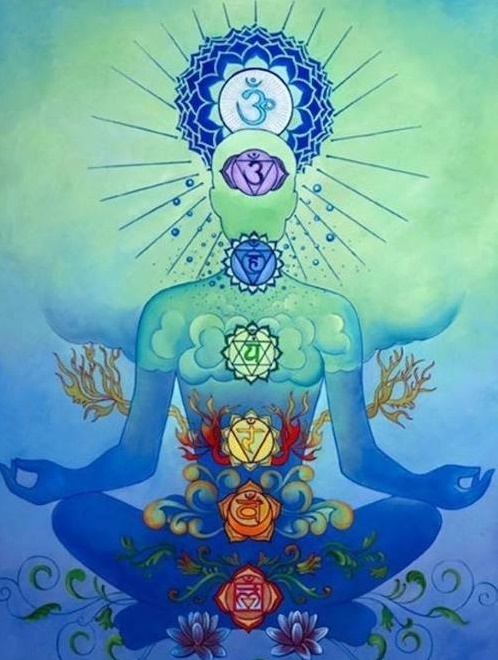 Pranayama involves learning to work with the breath in a manner that gets one acquainted intimately with the force of life that moves into the body every moment of every day. Dharana is the method of focus, and concentration and Dhyana is the practice of Meditation. All these practices lead one to become purified in body and mind and ready for Samadhi, which is a state of absolute bliss through Pure contemplation and union with one’s supreme being. While most people are most familiar with asana, or the physical practice of yoga, it is only one aspect of the entire system of yoga. The depth and breadth of potential that yoga brings to one’s life is unfathomable since there is no ultimate goal to attain. Yoga shows us that there is no glass ceiling for the human experience and no limits to our transformation. As long as a student has a desire to continue to learn, yoga offers the many paths to walk to keep seeking and attaining knowledge. Yoga unites the body and mind. The belief and theory of body and mind separateness began with the Greek philosophers of ancient times. The debut of psychiatry in the early 20th century further supported the existence of this divide through practicing psychological and somatic medicine separately. While there is importance on understanding the differences between the mind and the body, it is also important to understand there is no separateness. The mind is highly influenced by the state of the body and the body by the state of the mind. Stress in the mind materializes itself in the body through tense muscles, tight shoulders and changes in the body’s processes. A supple and relaxed body can induce the same feelings of ease in the mind. Just through practice of yoga asana alone, we can see this mind-body separateness exist only as an idea. The Sanskrit word Yoga, roughly translates to the word ‘yoke’, or to unify. 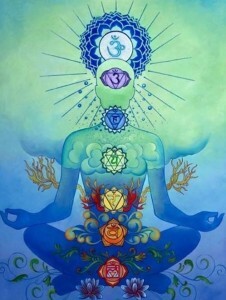 We are utilizing a practice to create a connection between our body and mind. To cultivate this power of uniting the body and mind, it is important to be consciously aware enough to feel everything in a yoga practice. New students typically want to perform yoga. The pressure is to look like you know what you’re doing, or at least look like the person next to you. While it is understandable to want to excel at something, it is more important to be completely immersed in the experience of the present moment while doing yoga. When I teach beginner classes, I focus heavily on alignment, to keep my students safe in their postures, but I try to remind everyone that it doesn’t matter what their poses looks like to others. It only matters that they feel the movements, the breath, the connection and remain present. I often tell my students that the yoga studio is a laboratory and their yoga mat is a simulation. The philosophies and concepts that turn living life into an art form do not take effect just by discussing them. A yogi moves these ideas into the physical body and makes them real. It’s great to talk about what perseverance means, but it becomes a truth when you hold chair pose for ten breaths. We can talk about remaining calm in the face of struggle, but by breathing consciously while flowing through a vinyasa practice, we truly understand what it takes to face the tough times with equanimity. What we do on the mat is practice for what happens off the mat. Yoga is a not just something I do. The way I practice and teach yoga is also the way I live my life. I encourage anyone interested in yoga to begin where you are with no expectations. Just practice. Let your yoga unfold before you. It all begins with the choice to be present in this very moment. Next post: Be Prepared: Welcoming New Year’s Students instead of Wishing them Away.